Re$earch money – Should university mindset about innovation evolve ? “University administrations are motivated by the success of their own organizations, just as are the companies we partner with. One thing often overlooked is that universities, by and large, receive no funding with the explicit goal of aiding commercial innovation. We do receive research grants in which innovation may be an intended outcome, but almost all these sources provide little or no direct funding to support the TTO infrastructure which is pretty important to the process. So it’s hard to see why university administrations should be aligned with something nobody pays them to do.” Over the past two decades many reports have been published with recommendations to improve Canada’s innovation performance. 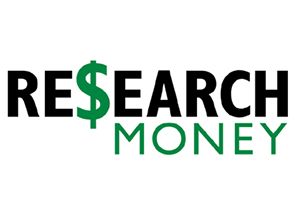 None have been really prescriptive, except for the 1999 Report of the Expert Panel on the Commercialization of University Research (Public Investments in University Research: Reaping the Benefits), commonly referred to as the Fortier Report. It suggested a 5% reserve on all grants to address protection and commercialization of their research results. This recommendation generated an uproar within academic circles, notably in social sciences. It also raised concerns about academic freedom, viewing this disposition as a first step towards an obligation to divulge and commercialize. At the time, Canada was debating whether to adopt legislation in the same vein as the Bayh-Dole Act in the US, which requires publicly funded research results to be commercialized and proceeds to be shared with inventors. Facing acrimony from all fronts, the federal government shelved the Fortier report. Since then, university administrations have valued industry partnership, engagement, open innovation and entrepreneurship. Their public discourse praises innovation, but the required funding to implement it has not been forthcoming. More recently, concerted lobbying was initiated to obtain more funding for research as a proxy for innovation. that it investigate new ways to support Canadian enterprises engaging in tech transfer with postsecondary institutions (PSIs). This well-balanced report mentions the enhanced technology transfer activity up to 2009, possibly as a result of a framework agreement in the early 2000s between the federal government and the Association of Universities and Colleges of Canada (AUCC, now Universities Canada) to triple commercialization efforts in return for doubling of funding through the tri-Councils over a period of eight years. This was an attempt to bridge university research needs and government objectives with respect to its impact on the economy. The activity increase could also have resulted from the encouragement provided for tech transfer by Natural Sciences and Engineering Research Council of Canada (NSERC) through its Intellectual Property Management (IPM) program over a period of six years since 1998. However, the report notes that metrics for tech transfer have been stagnant since the beginning of this decade. The report also analyses in some depth the causes of the discrepancy between Canadian and US metrics. The report’s first two recommendations are to reinstate the collection of PSIs’ metrics that were stopped in 2009 by Statistics Canada. It suggests the creation of a committee of experts in the field to develop new indicators to also capture transfers between PSIs and the private sector. The intent is laudable. However, to develop a robust set of indicators to better appreciate innovation activity and impact, it would first be necessary to have a sound research framework on this topic. This would be possible if there were dedicated researchers and/or research centers focused on this important issue. Many attempts have been made in the past, notably through Association of University Technology Managers (AUTM), to arrive at a consensus on the best data for gauging the economic impact of research. Such data were considered sensitive within a highly competitive university environment and no funding has been devoted to it. Thus, most usable data are anecdotal and lack the necessary granularity to allow for sound policy analysis. The Parliamentary report is suggesting a mandatory approach, an avenue that Statistics Canada could implement through its confidentiality policies. The sixth recommendation – for the government to study opportunities for funding tech transfer programs — addresses the need to develop a program to enhance tech transfers, alluding to a new IPM program. This recommendation would strengthen TTOs’ tech transfer activities. Most other recommendations in the report are designed to facilitate access to technologies or inventions by SMEs, whether through better information or through standardization of practices and policies among PSIs. These recommendations are important to improve the innovation ecosystem’s conviviality and efficiency. University policies could also reward innovation among its researchers. If so, it is likely that the whole chain of innovation would bring us closer to the levels observed in the US. Is it such an unrealistic goal? This Parliamentary report on IP and technology transfer is recommending direct funding for TTOs and measures to facilitate the innovation process between the public and private sectors. Let’s hope we can build on this momentum through the implementation of its recommendations.